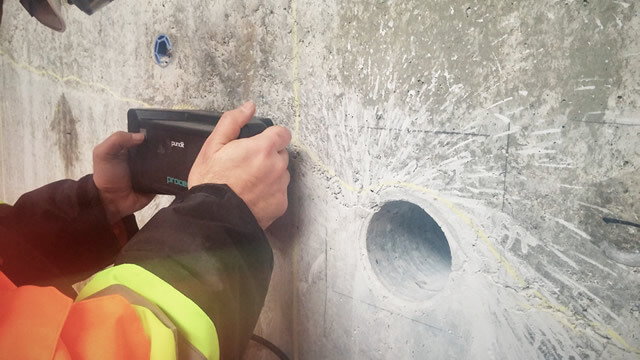 This articles reviews some of the most accepted and widely used nondestructive tests of thickness measurement for concrete elements. 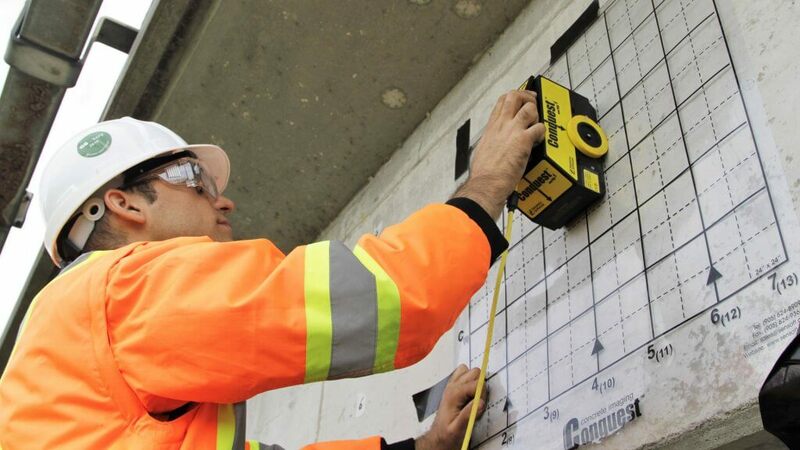 Thickness measurement can be of interest for engineers and technicians involved in the assessment of existing concrete elements, such as slabs, foundations, or pavements, or as a means of quality control (QA) in the construction of new concrete pavements. The applications and limitations of these techniques are briefly compared and discussed. Thickness measurement is widely used as a quality control procedure for concrete pavements. 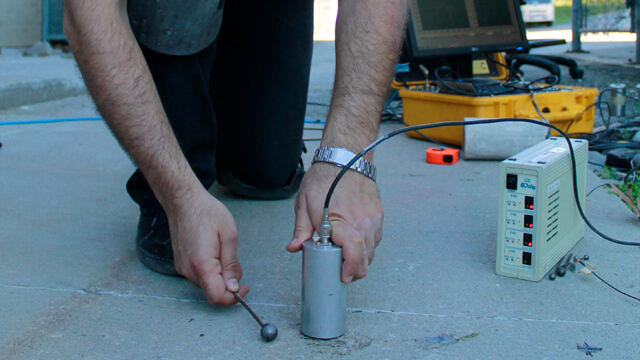 Traditionally, destructive sampling is performed to evaluate the thickness. In order to avoid compromising the performance of concrete, destructive sampling is done sparingly, thus the evaluation of thickness over a large area is not practical. The condition assessment of existing concrete elements might require certain information about the geometry and dimensions. In many cases, the thickness of the concrete element is important; for example, in the assessment of existing foundations, or retaining walls where only a single-side access is available. Evaluation of concrete lining (liner) in tunnels, or trunk sewers is another example. Traditionally, this has been done taking core samples on select points of the structure. Different NDT methods are used for different applications. Each NDT methods has its pros and cons. In selecting an effective test method, special attention should be given to the limitations of the method for field investigation. In this article, we will review 3 widely used techniques that are used in a variety of engineering projects: Impact-Echo, Ultrasonic Pulse Echo, and Ground Penetrating Radar (GPR). In Impact-Echo test, a stress pulse is generated at the surface of the element. The pulse spreads into the test object and is reflected by cracks, flaws or interfaces, and boundaries. The surface response caused by the arrival of reflected waves, is monitored using a high precision receiving transducer (Malhotra and Carino, 2004). When stress waves travel within the different layers with different stiffness, a part of the acoustic waves is reflected over the interface of each layer. The data recieved by the transducer is normally analyzed in the frequency domain to measure the wave speed and the thickness. This procedure has been standardized as the ASTM C1383, “Standard Test Method for Measuring the P-Wave Speed and the Thickness of Concrete Plates Using the Impact-Echo Method”. There are a few concerns on the accuracy of Impact-Echo test results on the fresh concrete (Gover et al 2012). However, the impact-echo method has been successfully used for existing structures. Special attention should be given to the surrounding environment. If the stiffness of bedrock or underlying slab is very close to those of the main concrete element, the accuracy of the method will be affected. The Ultrasonic Pulse-Echo (UPE) method is used for thickness measurements, and evaluation of the integrity of concrete. The concept behind this method relies on the propagation of stress waves through materials. In this method, a transmitter generates a stress pulse into the object at an accessible surface. The pulse propagates into the test object and is reflected by the interfaces (boudary layers). The emitted impulse and the reflected acoustic waves are monitored at the receiving transducers. The signals are analyzed in the time domain, to calculate the wave travel time. If the wave speed in the material is known, this travel time can be used to evaluate the thickness of medium. Depending on the multi-layer system under investigation, the travel time of shear or compressive waves are used to evaluate the thickness of each layer (Malhotra and Carino, 2004). Ground-Penetrating Radar (GPR) involves the transmission of electromagnetic waves into the material under investigation. GPR consists of a transmitter antenna and a receiver antenna, and a signal processing unit. GPR emits electromagnetic pulses (radar pulses) with specific central frequency to scan the subsurface medium. The reflected waves from subsurface layers, and objects are captured by the receiver antenna. Depending on impulse frequency, GPR is able to detect the internal events and objects at different depths. It can be used to differentiate the layers in a multi-layer system, or the thickness of concrete. GPR is used for the detecting the location and orientation of sub-surface objects (such as rebar mesh) or voids (Maierhofer 2013 , Morocous 2010, and Maser 1996). The main advantage with GPR is that it can scan a large area in a relatively short time. However, the GPR can not be used on fresh concrete, because moist concrete makes the penetration of electromagnetic wave into concrete more difficult. Another problem with the application of GPR for concrete pavement is the type of base material. 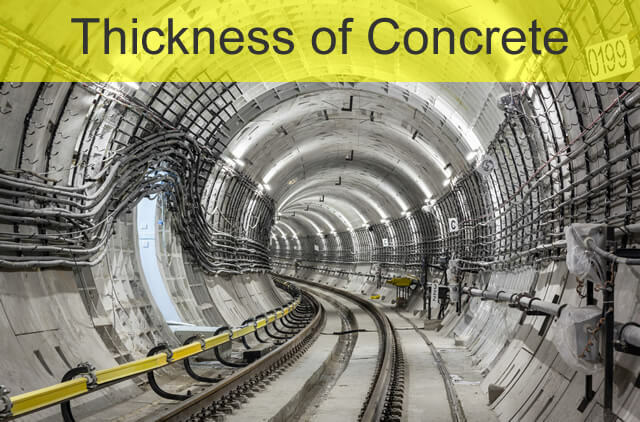 If the dielectric properties of the base material or the bedrock (in the case of tunnel lining) is similar to those of concrete, the accuracy of thickness measurement will be reduced. Well, the pros and cons of the introduced NDT methods make it very difficult to come to a firm conclusion. It appears that the selection of the test method and implementing it into real engineering practice should use a case-by-case approach at this moment. There are a few uncertainties regarding any of the available techniques, and it is the responsibility of the engineers and quality control specialist to come up with the best choice. That being said, the use of UPE and Impact-Echo for relatively thin concrete segments should be straight forward; however, you should keep in mind what is resting in the proximity. If your conclusion is that concrete is lying over a firm bedrock with similar properties to those of concrete, then the application of these methods will be difficult. Application of GPR on moist concrete will be problematic, but as soon as concrete dries, the method should be suitable. Where would someone get trained to perform these types of tests so that they could include them in their professional services? How costly is the equipment required for theseveral various NDT methods? Thanks.